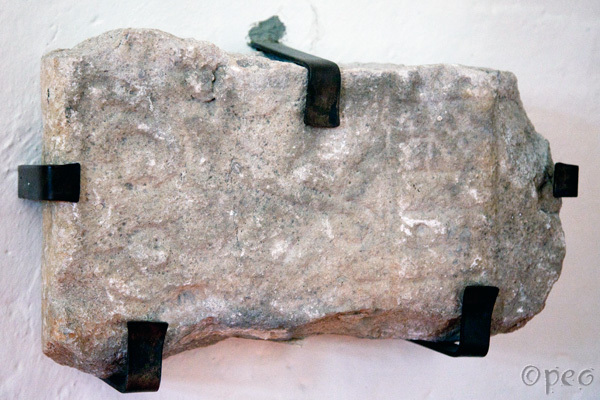 This fragment of a rune stone is now to be seen in Sanda church. Only a few runes and a bit of design left. Is it supposed to be a face like on the tall rune stone DR 314 in Lund ?